The effects of sepiolite and biochar on the contents of available nutrients (N, P, and K); the chemical forms and available contents of Cd and Pb in soils; the biomass and growth of maize; and the contents of nutrients, Cd, and Pb in maize were studied in situ in Cd- and Pb-polluted farmlands around the Lanping Pb–Zn mine in Yunnan Province, China. Results demonstrated that sepiolite did not influence the contents of available nutrients in soils, although it significantly increased the pH value and decreased available Cd (CaCl2-extractable and exchangeable) contents and exchangeable and reducible Pb. Moreover, sepiolite increased the biomass in the aboveground part of maize, resulting in the reduction of Cd contents in maize plants and grains by 25.6–47.5%. 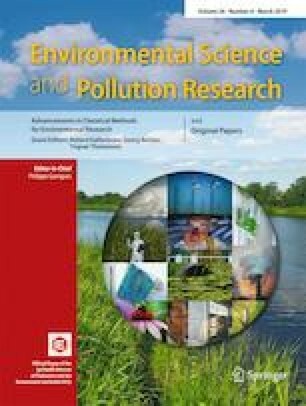 Meanwhile, the biochar increased the contents of available nutrients in soils and decreased the contents of exchangeable Pb in soils and biomass in the aboveground part of maize plants and grains; decreased the Cd contents in maize stems and grains by 26.7% and 24.6%, respectively; and decreased the Pb content in roots by 16.2%. However, neither sepiolite nor biochar had considerable influence on the Pb content in maize grains. According to a correlation analysis, soil pH has extremely significant negative correlations with available Cd content in soils, which in turn have extremely significant positive correlation with the Cd content in maize plants and grains. These results revealed that sepiolite increases soil pH and decreases Cd bioavailability in farmland soils around the Pb–Zn mine. Furthermore, biochar increases the contents of available nutrients in farmland soils and the maize yield. Sepiolite and biochar both decrease the contents and transfer coefficients of Cd in maize plants and grains and are, thus, applicable to the immobilization remediation of Cd-polluted farmlands. This publication is supported by the National Natural Science Foundation of China (41461093, 31560163), the Key Research Development Project in Yunnan Province (2018BB017), the Reserve Talents Fund for Young and Middle-Aged Academic and Technological leaders in Yunnan Province (2018HB043), the Innovation Team for Farmland Non-pollution Production of Yunnan Province (2017HC015), and the Project on Soil Pollution Control and Remediation of Farmland in Lanping County, Yunnan Province (YNBY2016-002).